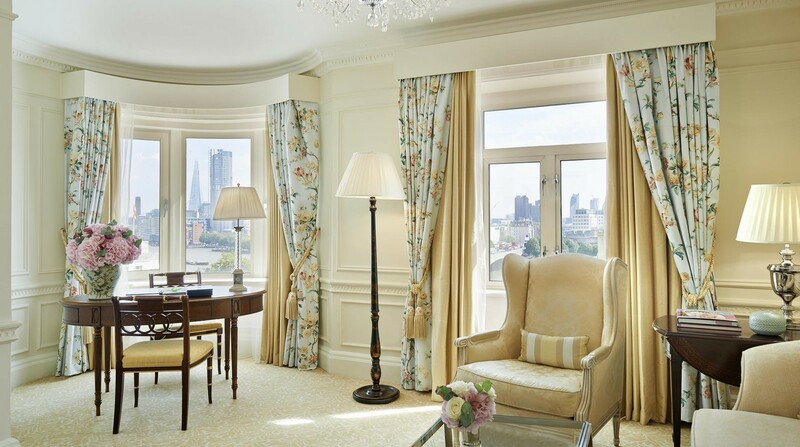 Partially overlooking the River Thames towards St. Paul’s Cathedral, these suites offer guests a true sense of location in the heart of London. The Savoy’s original characteristics are conveyed in differing design styles. 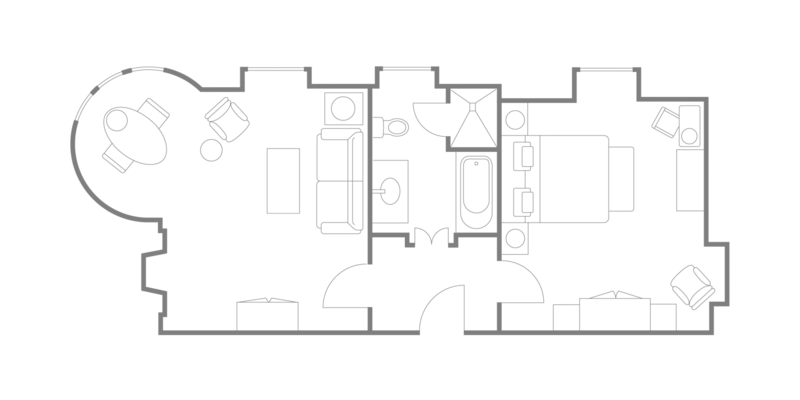 Each suite is unique and features an entrance foyer leading into a spacious sitting room in which to unwind after exploring all that the city and The Savoy have to offer. The Savoy is world-renowned for the excellent service we’ve provided to guests throughout our long history, creating unforgettable moments and the best experiences. Guests staying in a Deluxe Junior Suite are offered one chauffeured transfer, a welcome drink, Savoy Butler service, garment pressing and a courtesy car for travel within a three-mile radius of the hotel, subject to availability. In-Room Dining at The Savoy offers an extensive menu 24-hours a day which is ideal for time-zone-hopping travellers, impromptu meetings or for quiet, private dining.